Greg Edwards was recently announced as the new director of Webster University’s Rolla Metropolitan Campus. “Webster University has a stellar reputation throughout our region, and I am excited to lead the Rolla campus and help it continue to grow,” said Edwards. Edwards noted he has always been impressed with the university’s Rolla programs, and this was a large selling-point for him when considering this position. Edwards holds a Doctor of Education with an emphasis in Higher Education Administration from Lindenwood University. Before starting at Webster, he was employed as a communication instructor and president of State Technical College of Missouri’s Faculty Senate. 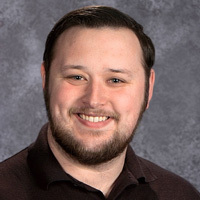 He has also previously worked as a local newspaper managing editor and as a legislative intern for the Speaker Pro Tem of the Missouri House of Representatives, among other positions. He also keeps busy supporting local nonprofit organizations and serving on boards and committees. Currently, Edwards serves as worshipful master of St. James Masonic Lodge No. 230 and as a member of the St. James Board of Adjustment. He is a former member of the St. James City Council, Missouri State Teachers Association, and the Ozark Rivers Solid Waste Management District Advisory Committee. For more information about Webster University’s Rolla campus, call 573-368-4569, email rolla@webster.edu, or visit www.webster.edu/rolla.